A Pacify membership provides unlimited, video-enabled, 24/7 access to maternal and pediatric experts. From the main menu, push one of the call buttons to connect with an expert. It’s as simple as that! Your feedback helps us innovate and evolve to better suit your needs and support new parents! Pacify has one focus: providing an extraordinary experience for new parents. At the end of the day, we are on a mission to relieve parental anxieties and keep both parents and children healthy. That's why a Pacify membership provides unlimited access to our nationwide network of providers, 24/7. We encourage you to connect with our providers as many times as you need, anytime, anywhere. Do I need an appointment to use Pacify? Nope! Just open the app and push one of the three buttons. Pacify experts are available 24/7, usually within a minute or two. Are these video chats or just phone calls? When you call a lactation consultant you’ll be connected with a video call – so you can see the expert you are talking to and they can see you. Calls start with video turned on, but you can turn video off during your call. Just touch the movie projector icon in the left corner of the screen. That way, you can still speak with a professional, but they can’t see you. Calls to nurses are audio-only, just like a regular phone call. What kind of connection do I need to use Pacify? Pacify will work on any 3G or 4G connection, but it’s best to use it while connected to Wi-Fi. How much data does Pacify use? The Pacify app is similar to FaceTime and other video apps. If you have a standard data plan (2GB), a call of normal length will use up about 1% of your monthly data. Turning off video will reduce the amount of data used. For best results, use Pacify on Wi-Fi. Who answers the phone when I call? 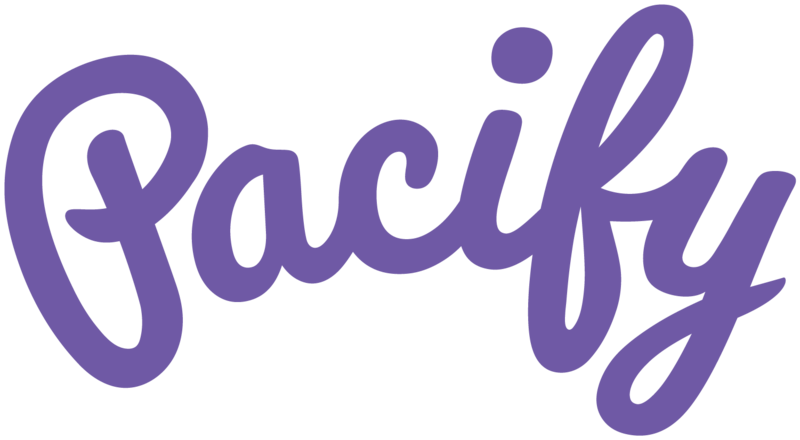 Pacify has a nationwide network of nurses and lactation consultants. All Pacify providers have advanced degrees in their respective fields (RN and IBCLC, respectively). Check with your health plan or local WIC clinic to find out if you are eligible for a FREE Pacify membership! Ready to get started with Pacify?